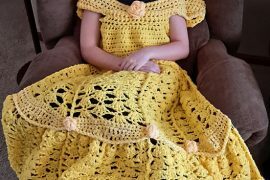 When I published my posts of free and paid patterns for women’s crochet dresses I received a comment from someone who wanted to see similar roundups for kids’ crochet dresses. That’s a request I’m totally happy to oblige! We’ll start today with the best free patterns and then follow-up soon with some options to buy. 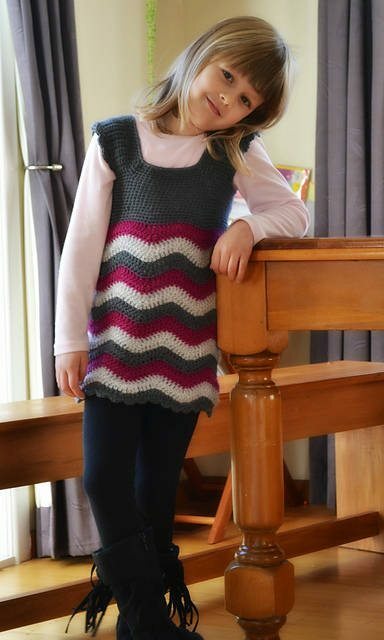 Amanda of Pardon My Chaos offers this free crochet pattern for a striped T-shirt style kids’ dress done in crochet. Stylish and comfy! The pattern is written for size 2T/ 3T. This adorable baby dress is a free pattern (with lots of cute photos) from the Bethsco Blog. The crochet pattern is written for a baby age 1-2. This cute crochet dress with matching bolero, designed by Svetlana M, is currently the most popular free crochet dress pattern on Ravelry. This pattern is designed for the average five year old girl. I would’ve loved this ruffled neon crochet dress when I was a kid in the 80s. It works for girls today, too. It’s a free Caron crochet pattern called Rows o’ Ruffles. It’s written for multiple sizes, aged about 3 – 10. This free crochet pattern comes from Ball Hank n Skein. It’s called the Easy Peasy Toddler Dress. 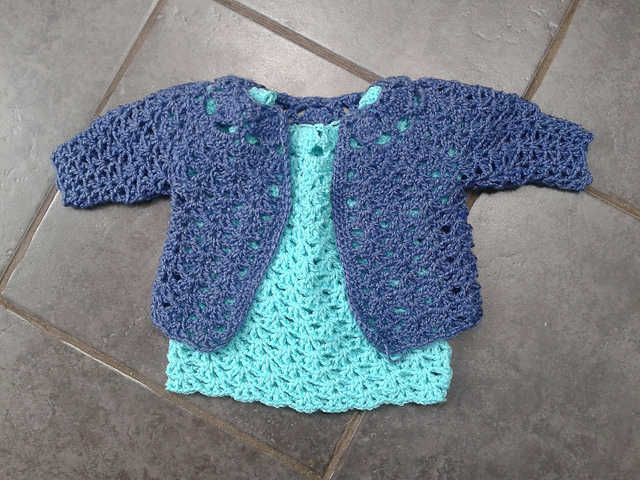 It’s easy to whip up a little crochet dress for a newborn because they’re so small. 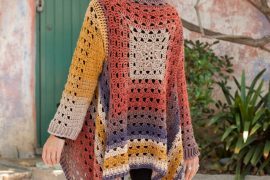 This free pattern comes from Encrafted, a UK blog, so remember that means it’ll be using the British crochet terms. 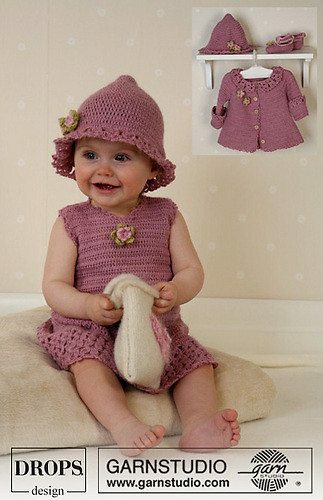 DROPS has many free crochet dress patterns for babies and girls. I like this one, which has pattern instructions for ages one month to four years. 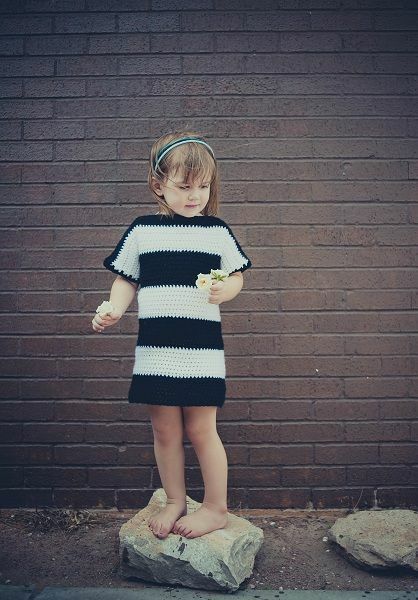 The first striped toddler dress I shared was a boldy graphic black and white design. 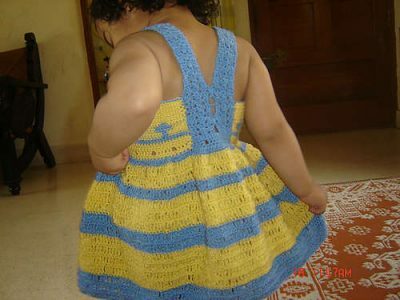 Here’s a color option – a crochet dress pattern with some stripes and details, shown here in yellow and blue. The pattern is available as a free Ravelry download. 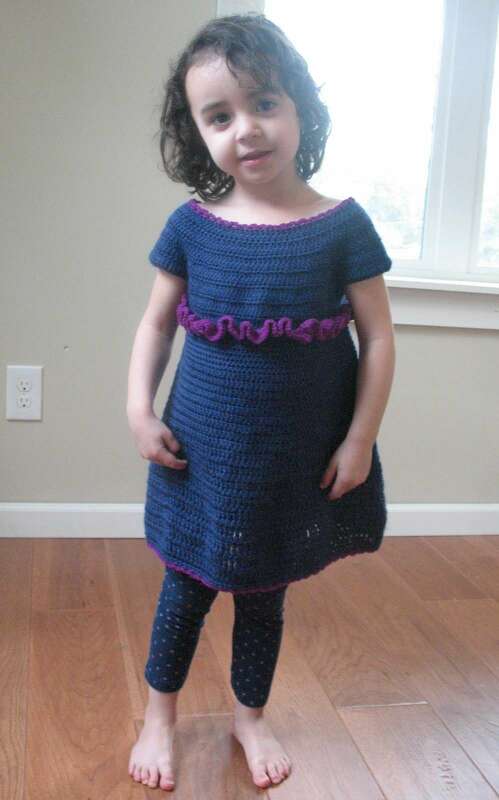 This crochet dress uses the ripple or Chevron pattern. The suggested color scheme is sophisticated for a style-loving girl. It’s from The Green Dragonfly. It’s worn more like a tunic here but make it a little longer and it can be a dress. 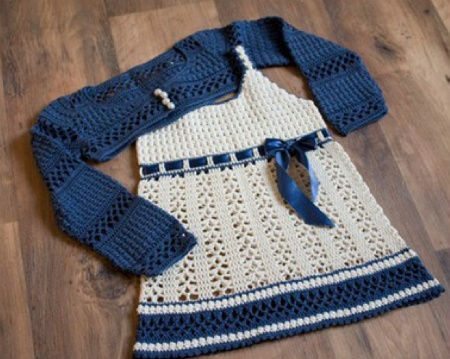 This baby crochet pattern is a dress with a matching cardigan. Make a bunch of them in different colors and mix-and-match for an always cute baby! The pattern is available for newborns through one year as a free Ravelry download. 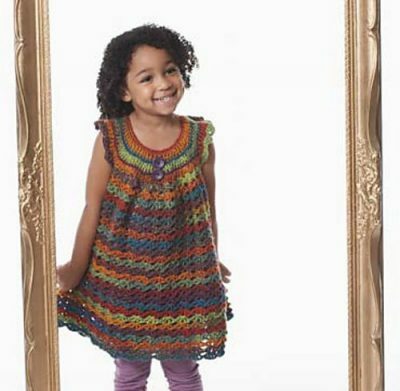 This adorable crochet dress pattern from Bernat has patterns sized for kids as young as 18 month or as old as about 6 years. 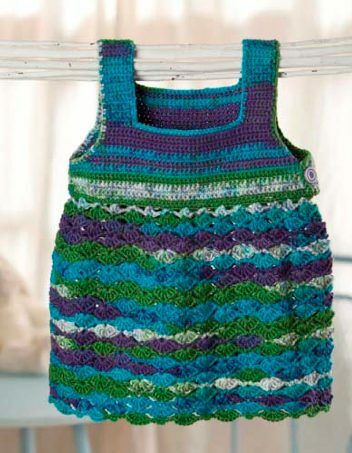 It’s the details I love in this crochet dress pattern – the tank top straps, the shell pattern, the stripes. Adorable all around. It’s a free pattern form Premier Yarns and is for sizes six months through six years. This dress, for sizes 2, 4 and 6, is a free pattern from Coats and Clark. 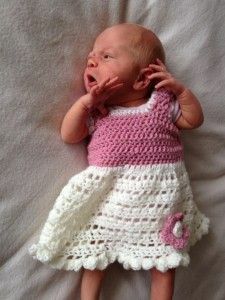 This crochet dress pattern by Musings of a Yarn Mom is written for a 6-9 month old little girl. 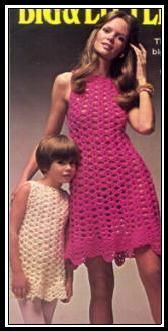 This vintage crochet pattern is available online. Sweet, isn’t it? Don’t forget to check back next week for the roundup of the best crochet kids’ dress patterns to buy online! Someone essentially help to make severely posts I’d state. 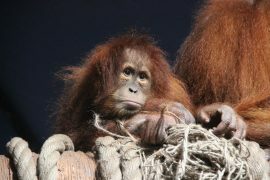 That is the first time I frequented your web page and thus far? I amazed with the research you made to make this actual put up amazing. Excellent process! I went through all 2605 patterns on coats and Clark’s site number 13 is not there. Is there another way to get it??? My apologies for that. It looks like the link changed. I’ve now updated the link so you can find the pattern pdf by following that link. I can’t find pattern for # 11…Striped Crochet Dress. My apologies on that. Apparently the link had changed. I’ve updated it now! Where do I find pattern #4? Looks like the link had changed. I’ve now updated it so you can find the pattern! I’m not sure if they have a pattern for the jacket. I only know about the one for the dress. Never mind. I found the pattern on Raverly. At the same link I shared above to answer your question? Do you possible have the written pattern for #3-it is beautiful and I would love to make it, but I can’t read diagrams :( I appreciate any help you can give me.